I have a memory (drowned in the decades of forgetting) of an summer evening open air piano concert at the Maeght Foundation near Saint-Paul de Vence: the pianist played the same score marks vertically, horizontally, clockwise, anti-clockwise, on a diagonal…. It was not my first experience with that kind of music making, but for a reason that remains nameless, most memorable art vivant. Danny McCarthy made an indoor piece. 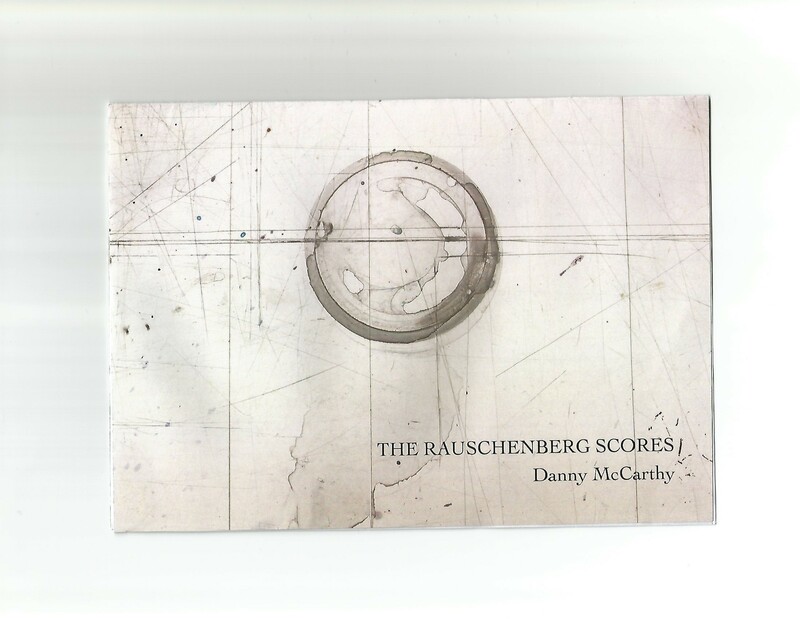 McCarthy then used Rauschenberg’s piano in the main studio to interpret these scores. Working late into the night sounds appeared in the studio for no apparent reason. These sounds were incorporated into the recordings.The scores/prints moved on the walls, again for no apparent reason, except they read/looked better that way. Whether “Bob” as Matt calls him intervened is open to interpretation, but as Matt Hall said ” It would not be the first time strange things happened and things moved by themselves in these studios. To cut open such a work only to extract an argument is to kill its heart. My only salvation from the foolish decision to write about it is trusting what Baudelaire called “correspondances”. I can’t quite articulate what it is that I’m reacting to. My grasp on what I’m hearing doesn’t seem cognitive, a free mix of visuals and sounds. Both, which I know and which are startlingly new. Even alien. First more words,now, on the necessary ( and insufficient) conditions for The Rauschenberg Scores. 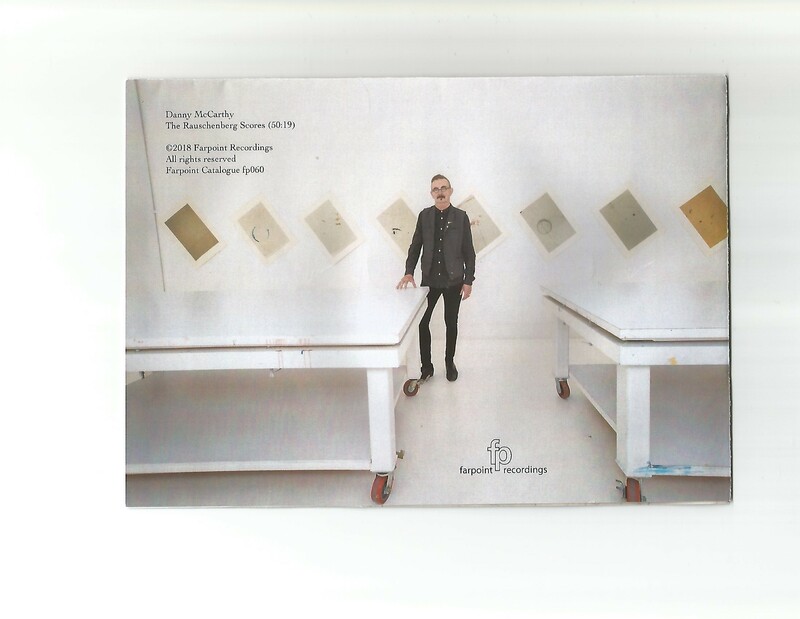 During January and February 2016 the artist Danny McCarthy was invited to work as “Artist in Residence” with The Rauschenberg Foundation in Captiva Florida along with fellow “The Quiet Club” member Mick O’Shea. The residency was housed in Robert Rauschenberg Studio’s and estate. While there, the artists had full access to all the studio’s facilities including Rauschenberg’s own piano which Cage, Tudor etc had performed on. In the studio were the work tables used by Rauschenberg, when he lived and worked there. These tables were marked, scored and coloured by Rauschenberg himself as he made his own work. (The tables were fabricated and built by Matt Hall, Rauschenberg’s assistant and still head technician in the studios). McCarthy took these marks, scores and colours, photographed them, and used them to create a series of prints on antique handmade paper that Rauschenberg left behind in the studio. During listening of McCarthy’s music, I hear sounds our ancestors would never hear – akin to engines of unknown kind and sounds astronomy links with the sounds of the universe. In a way, these sounds uproot me from my prosaic presence, they emerge to my consciousness as coming from the prehistoric era. Are they Earth bound? Not all of them. 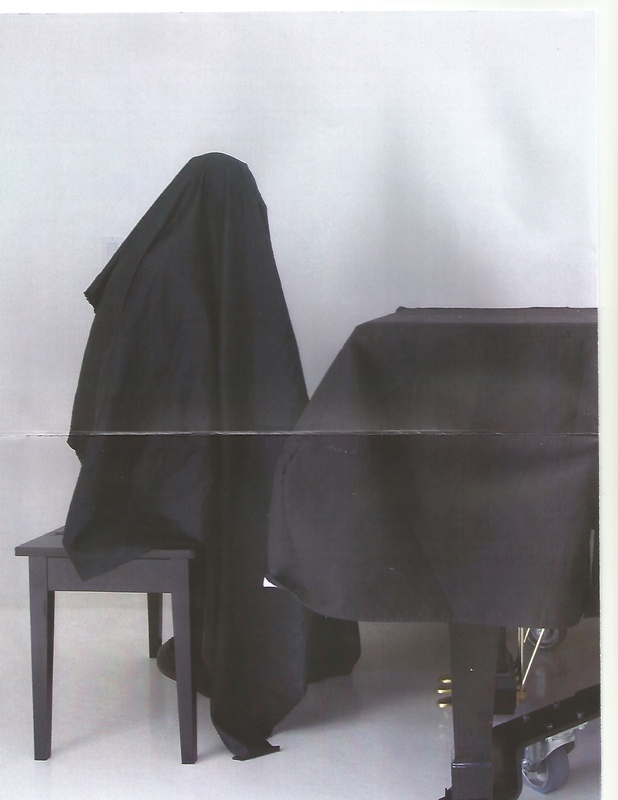 Those that sound like a piano key, are – and others deny that instrument and that space. 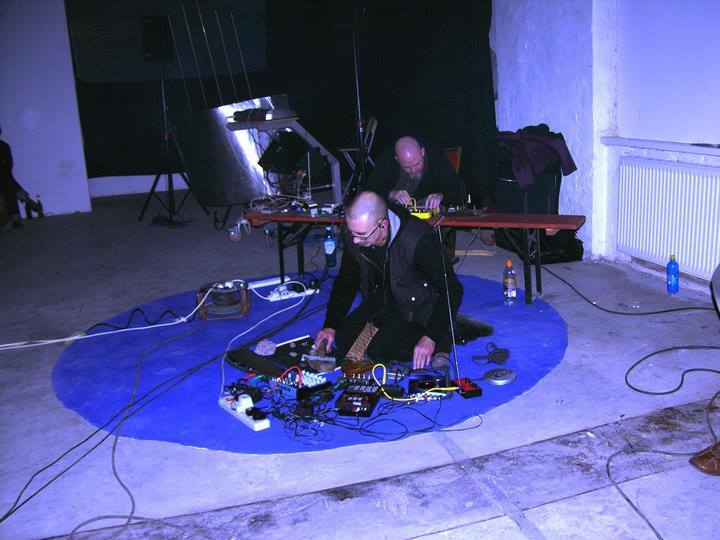 In complicity with his tools ( instruments, space, electronics) McCarthy achieved an enigmatic exchange that exclude the habitual listening to music and its relationship to time. The middle could be the beginning or the end. 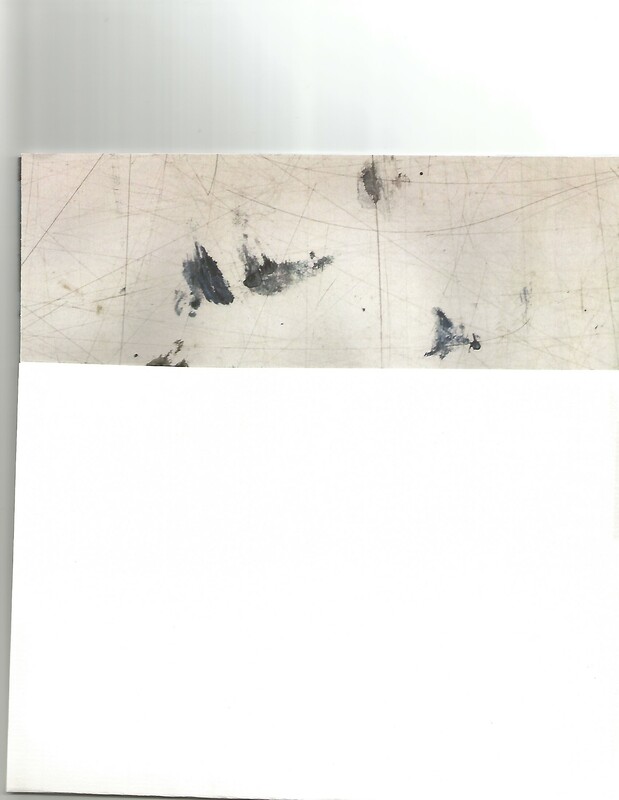 He translated that condition into an image of a circle and lines on the sleeve for the disc, possibly, it is one of the marks found on the tables – a silent message. …lambent, obvious, forbidding, uggly, beautiful, even terrifying. Pelagic silence broken by oppositional, yet constituent roar. Too loud, too pianissimo. I could not decide where to set the volume of the sound – Adorno’s concept of beauty as ” a necessary moment ” circled the intensity I experienced. What if the intensity of performance is all that separates art and other being? What if all is required is that I stay loose from the mad search for objective values? Some passages are apocalyptic – some akin resignation to a disaster of something becoming nothing. There is more: on subsequent listening – some earlier perception accelerated to variations – for example a sound’s ending changed more fluently into silence and visa versa. The visual and sound variations are Danny McCarthy respectful memorial to the space, and objects as documents of existence of Rauschenberg and intense sorrowful strive to activate the loss back into presence (and future). With all the intensity of spirit McCarthy could evoke. There is more…. and it is non verbal…. This entry was posted in essay, Uncategorized and tagged Captiva Florida, CD, Danny McCarthy, prints, Rauschenberg's Foundation. Bookmark the permalink.